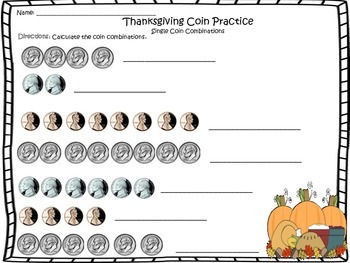 Enjoy this 16 bundle of 3 different coin practice worksheets. 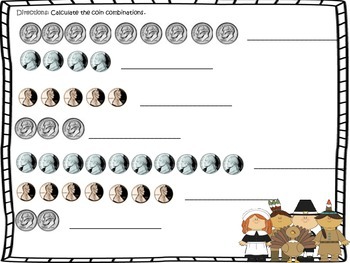 5 pages are devoted to one coin combinations, 5 pages are for two coin combinations and 6 pages are for three coin combinations. 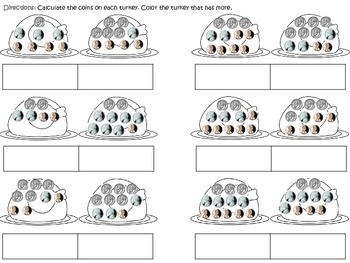 Students can practice calculating these money problems while getting in the spirit!